If you’re looking to finance personal expenses, you might consider taking out a personal loan. 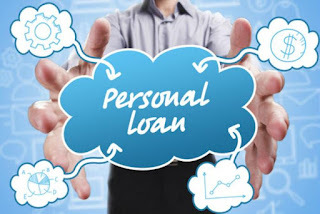 Personal loans tend to be smaller than loans for big ticket items like a home mortgage or auto loan. In general, personal loans can be taken out by anyone and used for nearly any purpose. Let’s find out more. Limits on personal loans vary, but can be up to $50,000 or more. Even if you need to borrow as little as $500, a personal loan or cash loan can be taken out in this amount. Unsecured loans are loans that require no collateral. These are the most common personal loans. You can apply for an unsecured personal loan through a bank, online lender, or a credit union. Secured personal loans require some kind of collateral to back up the loan repayment. The collateral might be your car, home equity, or some other asset. If for any reason you can’t pay back the loan, then the lender has the right to use the collateral to pay back the loan. Interest rates on personal loans can be higher than for other types of loans such as mortgages or federal student loans. That doesn’t mean you can’t get a fair rate, but it does pay to shop around, particularly if you’re looking for a cash loan. If you agree to a shorter loan term, your monthly payments will be higher, but you might be able to get a lower interest rate and reduce the overall cost of the loan. When you apply for a personal loan, the lender will ask for personal information. They will also perform a credit check. Depending on the lender’s underwriting criteria, your credit score may decide if you get approval for the loan. Lenders make money from the interest and charges applied to the loan. Some lenders will also charge you extra if you pay off the loan early since early payment cuts into their profit. Not all personal loans carry a prepayment penalty — make sure you know whether a loan you are considering does before borrowing. Some lenders will advertise loans with “teaser rates” as low as 0 percent. But the rates can end up being much higher — up to 200 percent or more. It goes without saying, this can end up costing you a lot of money. One way to avoid such problems is to look for reputable lenders. You can check with the Better Business Bureau (BBB) to see if a lender is listed. You can also use a reliable loan locator service to find the best rates for you among legitimate lenders. Credible is a multi-lender marketplace where lenders including Avant, LendingClub, PAVE, Prosper and Upstart compete for your business. You can compare personalized offers from multiple lenders on Credible.com without sharing your personal information with lenders or affecting your credit score. Vincent Chough is a writer who earned his medical degree from the University of Pittsburgh School of Medicine and practiced in the U.S. for 10 years. He now lives in Argentina, where he’s involved in NGO management at the executive level.